Michael M Bill is the Chairman of the Board of Directors at MJ Insurance, the company he co-founded in 1964. MJ Insurance is the result of a shared vision to create an independent insurance agency based on sound financial principles and strong customer service which has since grown into one of the top 100 independent insurance agencies in the nation as well as a “Best Place to Work” in both Indiana and Arizona. leader. As Chairman of the Board, Michael remains involved in client accounts and acts as a mentor for many of MJ’s employees. have upon key constituents – MJ associates and their families, clients, partners, and our local communities. principles the company was founded upon. Michael believes you must strive to earn and maintain trust, by continually acting in our clients’ best interest. Each and every transaction conducted by our organization is done in a professional manner, placing our integrity above all else. Simply put, our goal is to do what we say that we are going to do and do it with honesty and sincerity. Jon Loftin joined MJ Insurance in 2004 as chief operating officer and assumed the role of president in 2006. He is responsible for setting the vision and strategic direction of the firm and oversight of the day-to-day execution while ensuring profitable growth. Throughout his successful tenure, Jon has developed and implemented strategic business plans leading to substantial revenue and profit growth for the company. He continually concentrates on shaping a business environment where growth and development flourish. Jon brings MJ’s core values to life at all levels of the organization by championing significant process and performance improvements, through driving change, accountability and excellence. Jon considers MJ’s greatest asset to be their people. He believes in developing people, building managers and unleashing innovation. Jon ensures that all team members understand MJ’s six core values and purpose, and exactly how their role influences the success of the company. Brian Friend brings more than 25 years of financial experience to the MJ team. As MJ’s Chief Financial Officer, Brian brings invaluable insight of an industry veteran to help our company become one of today’s leading insurance agencies. Brian is responsible for strategic planning as well as budget formulation, acquisition structuring, shareholder planning and is focused on the financial health and success of MJ. Brian regularly meets with department leaders within MJ to determine the direction of the company, where improvements can be implemented and how things are operating. Brian is also a member of MJ’s Value Creation Team which is responsible for providing the strategic direction for MJ in alignment with our purpose. Prior to joining MJ, Brian worked for the accounting firm of BKD (formerly Olive, LLP) where he primarily served construction, agri-business and insurance agency industries. Brian brings with him a firm understanding of finance and what it takes for a business to succeed. Chad Miller joined the MJ Insurance team in 2017 and serves as Chief Information Officer. A 30-year technology veteran with expertise in enterprise data governance, ERP management, and systems development, Chad oversees the execution of MJ’s digital vision and strategic direction of information technology for MJ Insurance. Prior to joining MJ, Chad spent over 25 years in informational technology roles in various industries. Most recently, Chad held the title of senior director of technology development at Butler University in Indianapolis. At MJ, Chad leads a team dedicated to improving both the client and employee experience through technological advancement and enhanced digital strategies. He also serves on MJ’s Value Creation Team. The VCT is a team committed to providing the strategic direction for the firm in alignment with our purpose. Cindy H. Stellhorn joined the MJ Insurance team in 1998 and currently functions as the executive vice president of MJ’s Sorority division. She brings nearly four decades of insurance experience to MJ with adept knowledge in the field of sororities and fraternal organizations and risk management. Past experience includes her role as chief operating officer and sorority department manager at Conseco. Cindy is a firm believer in giving back to the community and participates in several philanthropic organizations. 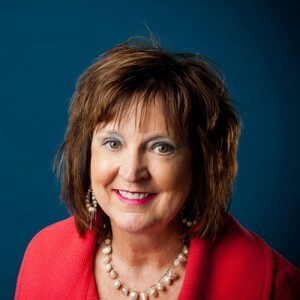 She has served on the board for the Boys & Girls Club of Noblesville as well as a past President for the Independent Insurance Agents of Central Indiana.